February is approaching, and you know what that means… chocolate! And for us here at Flipsnack, it means that the brand new free February 2019 wallpaper calendars are here. February may be the shortest month, but that doesn’t mean there’s any shortage of inspiration. The first wallpaper calendar up for download shows a curious fox making his way through the frozen forest. Step by step, the fox makes his way towards his destination. In most places, this paints the perfect picture of winter. Regardless of whether or not you have foxes where you live, it’s always fun to see the contrasting orange fur against the snowy white ground below it. This calendar leaves quite a bit to the imagination. It makes you wonder where the fox is going, and where he’s been. Perhaps, he’s on his way back home after a long day of traveling. Or maybe, he’s going to visit his fox friends. 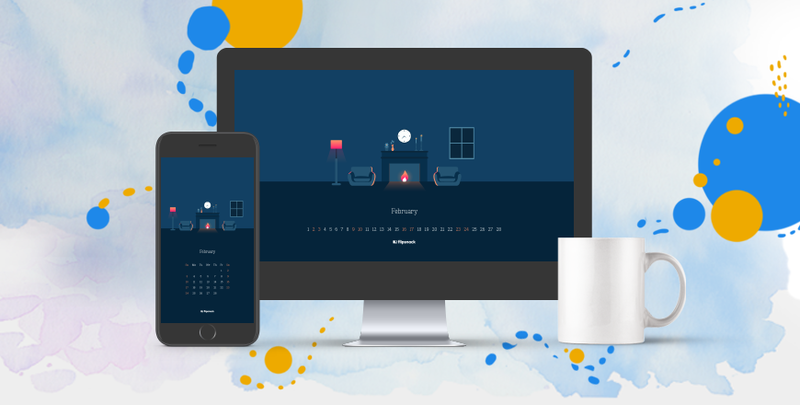 Whatever the occasion, this free February 2019 wallpaper calendar makes for a very fun background. 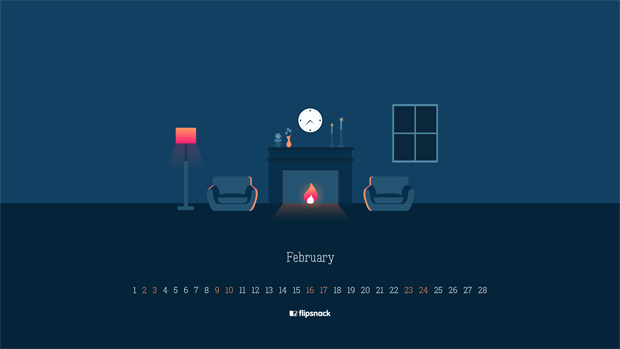 Our second and final calendar this month shows the perfect setting for a cold winter’s night in February. As fun as it is to play all day in the snow, nothing really beats relaxing next to a warm fire with a mug full of hot chocolate. 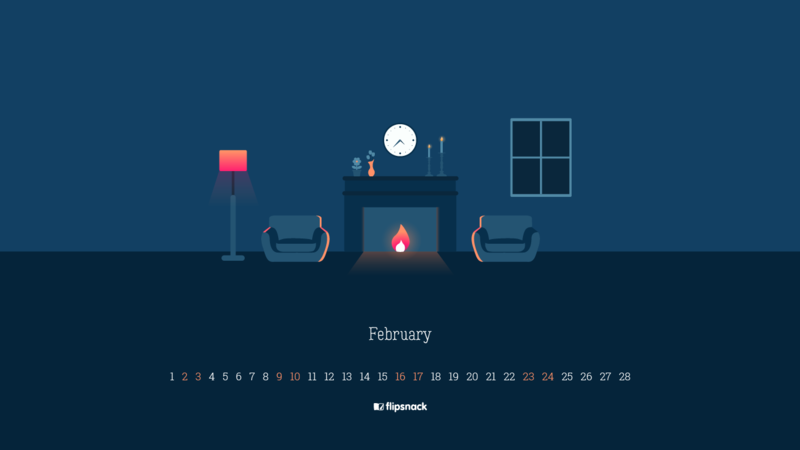 It’s the perfect way to wind down after a long day and doubles as a great wallpaper calendar for February. Just imagine yourself for a moment, sitting next to a roaring fire, sipping delicious chocolate from your favorite mug, covered in the coziest of blankets, and watching the snow fall out the window. 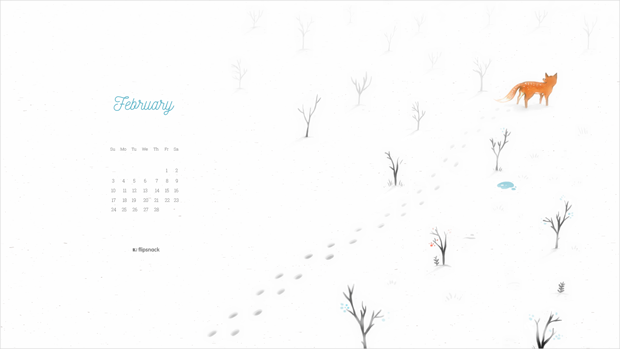 Even if you live in a place where it doesn’t snow much, this free February 2019 wallpaper calendar will help you imagine yourself there. For being the shortest month, there sure is a lot going on in February. Whether you’re a fan of cold weather or not, it’s coming. It won’t be here for long, so soak it all up while you can! 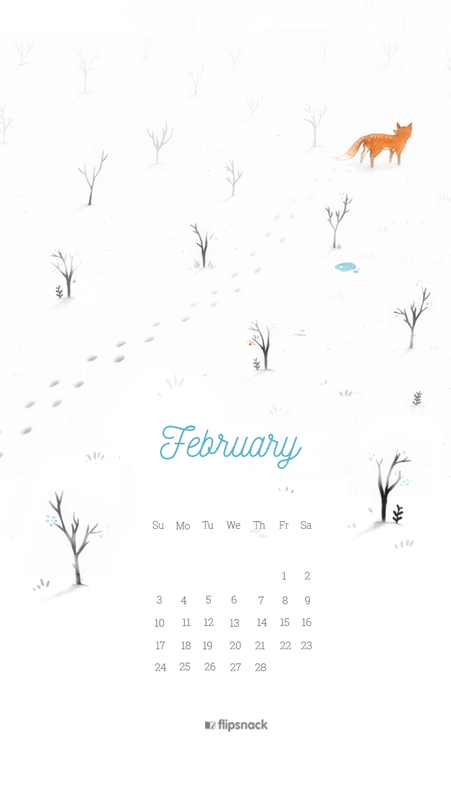 If you like our free February 2019 wallpaper calendars, click on the desired size below the picture to download them. 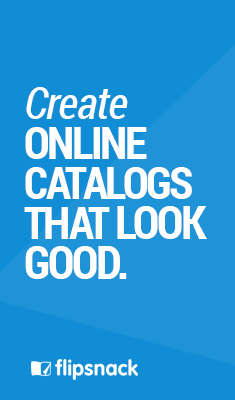 And make sure to check out our freebie section. 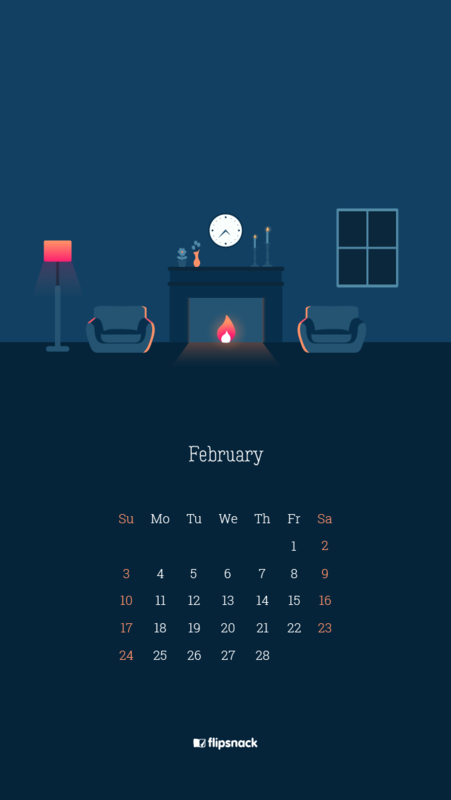 February may be the shortest month, but that doesn’t mean there’s any shortage of inspiration. 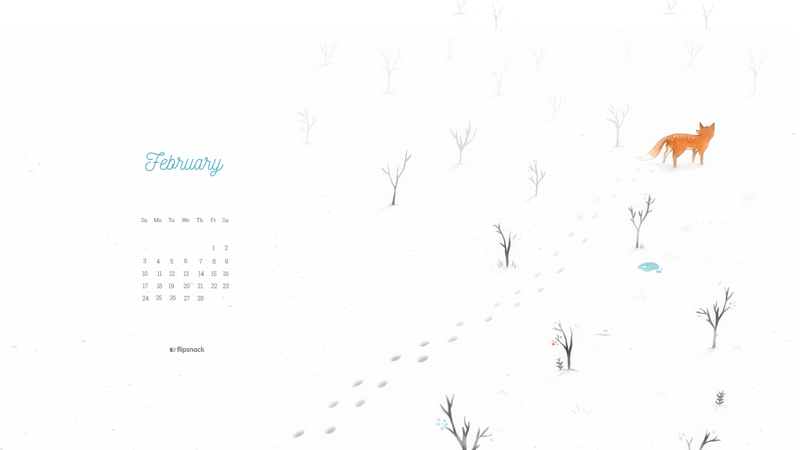 Wallpaper Calendar of February Month are really interesting. Checked out. Beautiful Wallpaper Design. Really Like It. Beautiful Template. I really like it. Great post, amazing templates. I just loved it.